This Autumn, Penpont Estate on the banks of the River Usk will be completely transformed as part of one of the most immersive performances of Shakespeare’s The Tempest ever attempted in Wales. 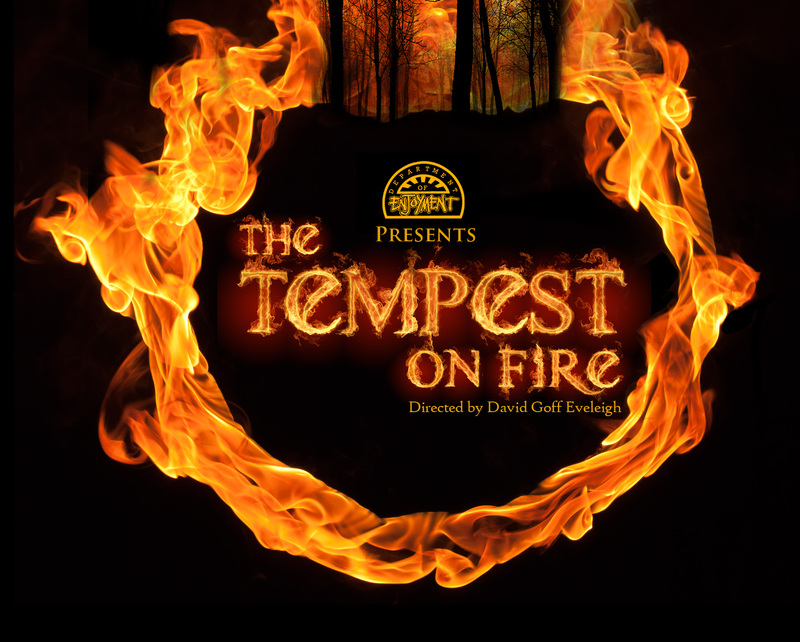 The Tempest, set on a remote island in the wake of a mighty storm, is a bewitching tale of betrayal, revenge, plotting, scheming and is filled with all manner of magic, monsters, wizardry and spirits. Considered Shakespeare’s most magical play, now you can see it brought spectacularly to life by the Dept. of Enjoyment’s Artistic Director, David Goff Everleigh. From 29th October to 2nd November, Everleigh will put his extensive experience of creating fire-events to good use, transforming Penpont’s iconic Greenman maze into Shakespeare’s enchanted island. Actors will be accompanied by circus and fire performers as well as live music and a ‘Farewell Firework Finale’ complete with pyrotechnics during Prospers’s famous final soliloquy. Tickets £20. Includes coach travel to and from Theatr Brycheiniog. Fine food, real ale and craft stalls on site. Get a group together and stay at Dovecote Cottage. A beautiful and well equipped cottage with stunning gardens on the River Usk. Less than a mile away from Penpont, the cottage sleeps 8 and is a little haven set in the beautiful scenery of the Brecon Beacons. Enjoy a family retreat in Bailea Coach House. A luxury converted coach house, equipped with all modern conveniences and panoramic views over the River Usk. Sleeps 4, and Penpont is just a few miles away. For a romantic break for 2, stay in Bailea Stable Cottage. This superbly renovated luxury cottage has its own jacuzzi on the terrace where you can gaze out over the stunning Brecon Beacons. Just a few miles from Penpont this is a perfect romantic cottage for 2. For more information and cottages close by, call the office and we would be delighted to tell you more on 01874 676446.